World's Coolest Accordion Hot Rod T-Shirt! Accordion Overdrive Short Sleeve T-Shirt design on front. Ladies Tee is slightly lighter material with a slightly lower neck line. 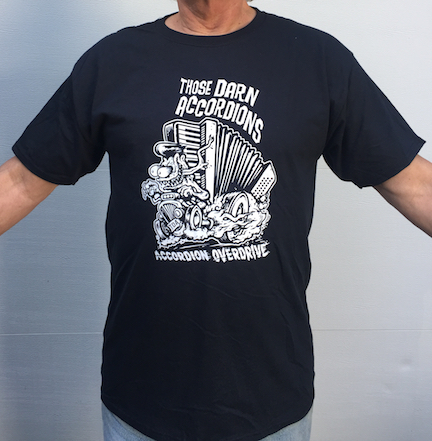 Buy the Accordion Overdrive T-Shirt with credit card or paypal.